Why hello there, its been a little while! How are we all? I haven’t posted since the start of December which I feel disappointed about to be honest. 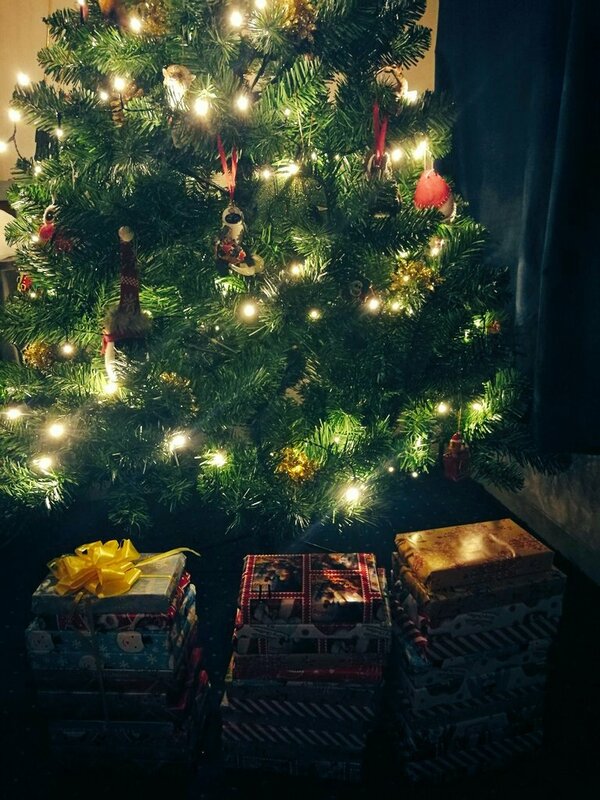 The lead up to Christmas is my favourite time of the year and I had a lot planned for it, but Dan actually ended up being away for almost 4 weeks so the Christmas lead up was actually quite lonely! I didn’t really feel like posting so much as each week I expected to have Dan home and made plans and each week he couldn’t come home. However we did pack in quite a lot when he actually got home so I thought I’d take a moment to fill you all in on what I’ve been up to! This year we went for a non traditional advent calendar from Book Advent Calendar, it was so cool! It did take a while to come as the two women who set up the business were surprised with how it all took off and I think some of our books were tenuously linked to the genres we picked but opening a book every day was magical! I would definitely do this again next year but would put my order in early! We finally made it to the Winchester Christmas market! We had planned to visit this and also go to London for Winter Wonderland, the five years we’ve been together we’ve gone to London every year at Christmas time for a treat but never made it to Winter Wonderland, maybe this year is the year! 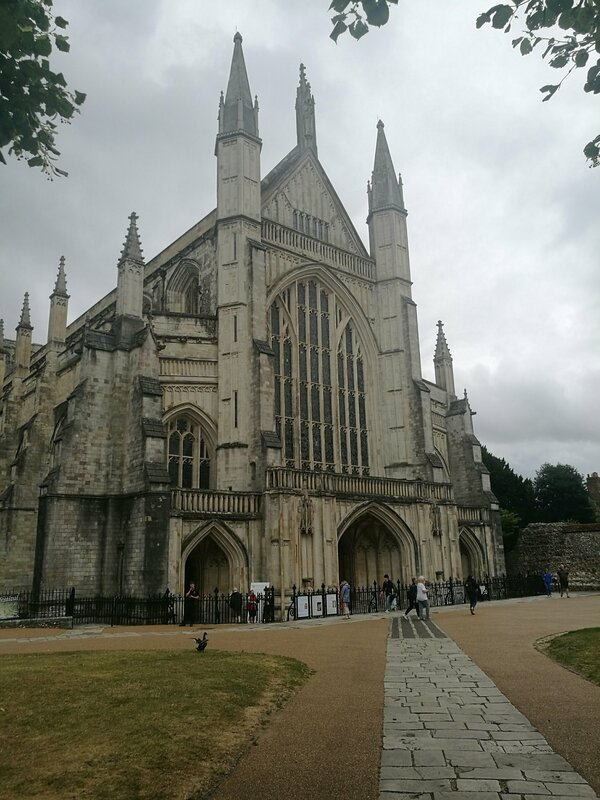 We went to Winchester on the last day of the market and we had plans with my dad and brother in the evening so we only had a few hours there. To be honest I was a little disappointed with the Christmas market, the stalls were basically selling much the same as any other Christmas market. I think it would have felt a lot more magical in the evening and perhaps as it was the last day maybe a few stalls had already gone. They have ice skating there too which again is lovely in the evening but too full of children in the day. We had a little look around the shops for last minute presents, they have a two storey Cath Kidston which I obviously had to stop in. 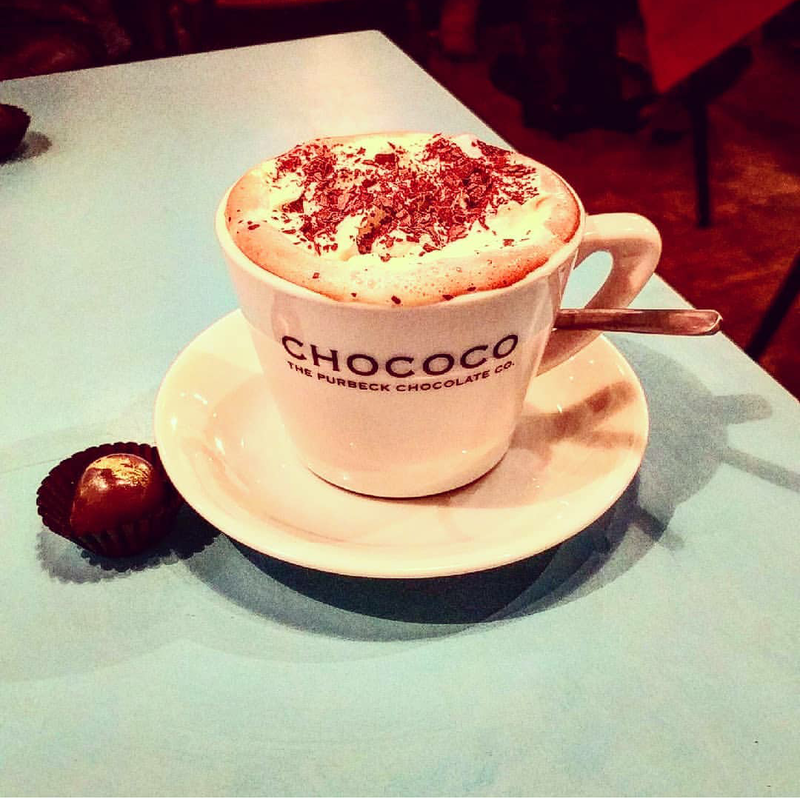 We also stopped in at Chococo which is a little cafe I had heard so many great things about. OMG their hot chocolate is to die for. I hadn’t been there before so I didn’t really know what I was ordering so I just went for their house hot chocolate with cream and marshmallows but it was sooo good and came with a salted caramel chocolate! All their chocolate is organic so it has less sugar in but tastes amazing. I had the best time spending Christmas with my family and spent New Years with Dan’s family in Norfolk. I haven’t been to visit them in over a year so it was good to see everyone and meet more of Dan’s friends. I didn’t take any photos really as I was there to spend time with family and celebrate our engagement so I wasn’t thinking about things to put on the blog. One thing I wish I recorded though was a vegetarian resteraunt we visited. If anyone visits Norwich you need to check out Wild Thyme Vegetarian Cafe it is seriously so good! I had baked halloumi to start and goats cheese and sweet potato dauphinoise for main, there was a gorgeous chocolate brownie for dessert and I will forever regret being too full to eat one to myself, its all I’ve been thinking about since! While I’m writing this I still have a few days off til we’re both back to work and plan on spending my time sorting out the house, writing posts and seeing some friends. What did you get up to over Christmas? Next What will 2018 bring? Welcome back!! Happy New Year! Happy New Year to you too Christopher! Thank you so much! My goal is too post as often as I can this year!